When you see a little person also known as a dwarf you will just SMILE – have fun ! We all know the importance of having fun in any type of party or promotion. If your having a party or you manage a night club or event venue. Wet also know when your guests are having fun at your party or event at your nightclub they will statistically spend more money. 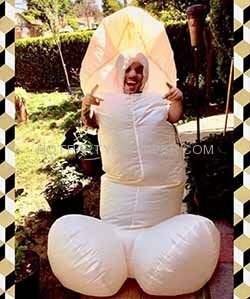 This is helpful in a bachelorette or birthday party but also has an amazing response at clubs or bars. There are lots of themes that can be done at your special occasion. Getting a little person to just simply hang out at your event is very common, having a dwarf turn it up at your night club or bar in Miami is very helpful for business, dressing up as cupid for Valentine’s , St. Patrick’s day , Santa Elf , Christmas in July party , Oompa Loompa , Game of Thrones party, Chuckie the scary little character, gender reveal parties celebrating a new born baby is a lot of fun, For more information to reserve a Little Romeo for your birthday, a Mexican, Yoda from Star Wars, retirement party or any fun hangout event. Come check us out this weekend in Fort Lauderdale at the Blue Martini in Galleria mall with the little dwarf dressed as a killer whale ready to swim in all of those wet waters. Dress one of our little people in a Uncle Sam or Donald Trump outfit for your tax return party celebration. Prices subject to change depending on location of party. One thing about this life we all live is that it comes in all shapes and sizes. With that, so do the people come in all shapes and sizes. 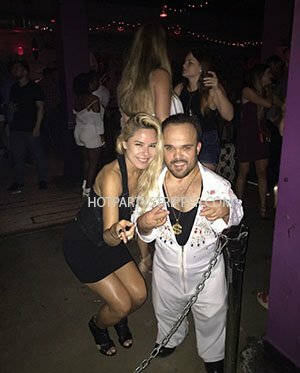 There is something special about inviting midgets to your party and having midget entertainment, and for a variety of reasons too. 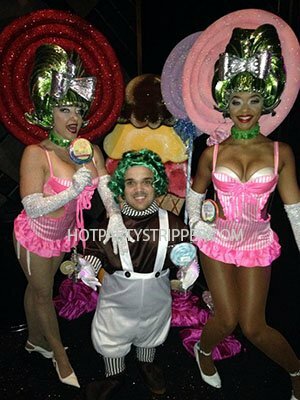 There are all sorts of midget characters for hire especially in Miami that can come to your party and entertain the masses, and even learn a thing or two about the profession. 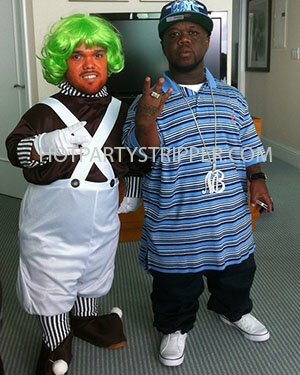 All across the internet there are various midgets for rent that allow you to not only get them in the character of your choice but do so for a bevy of different parties and venues, such as nightclub promotions, bar mitzvahs, wedding receptions, birthdays, Christmas parties, and all sorts of other occasions. 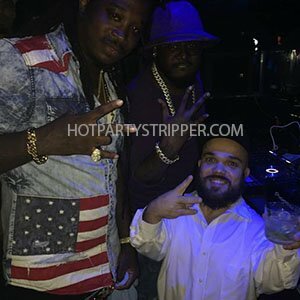 It is important to remember to stay true to what the midget strippers are used for, but they are there for your positive entertainment and to put a smile on every party goer’s face. When you think of hiring midgets, the last thing you would probably think is to get them to become the characters you have come to know and love. 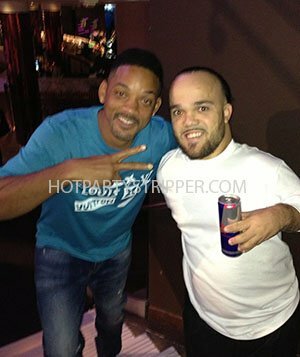 No matter what movie, TV show, or other piece of entertainment you know them from, midget entertainment is on the rise and something everyone should experience at least once in their life. 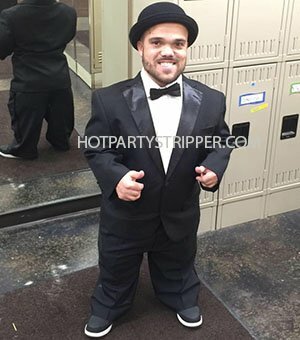 There are plenty of midget stripper characters for hire that you are sure to think of and they will be ready when that time comes. There are many different types of entertainment you can rent but no one ever thinks of finding midgets for rent. This is not only a great talking piece but something that not many people do, which is sure to set you apart from many other parties that may be going on. At the end of the day, it is all about doing what is great for your venue and what will certainly cause you to be the talk of the town. You may not think hiring midgets is something that many people do, but it is a very lucrative business that is sure to put a smile on everyone’s faces. 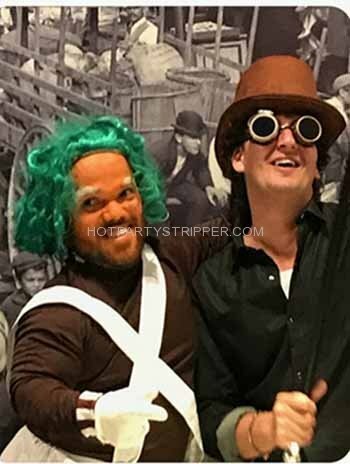 No matter what you need them for, whether it is for St. Patrick’s Day, your own bachelorette party, or even just to have some sort of Willy Wonka themed event, these midget characters for hire are always there for when you need them and are sure to be just as entertaining as you would expect.